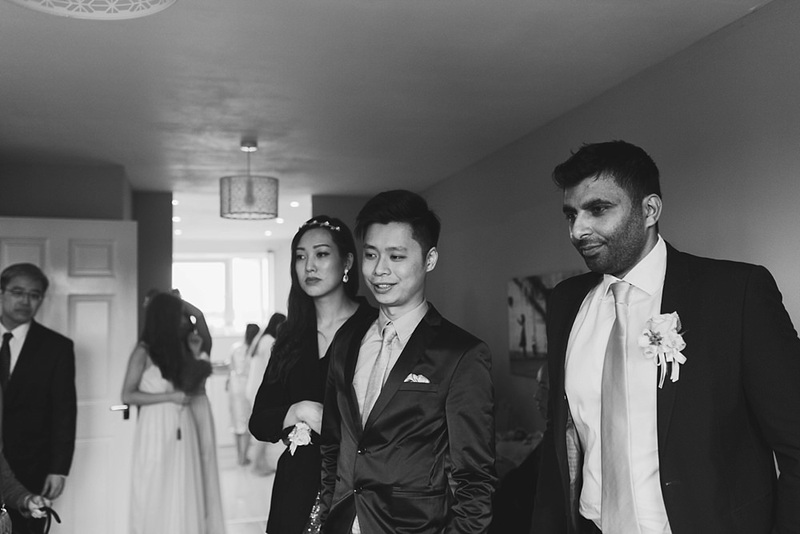 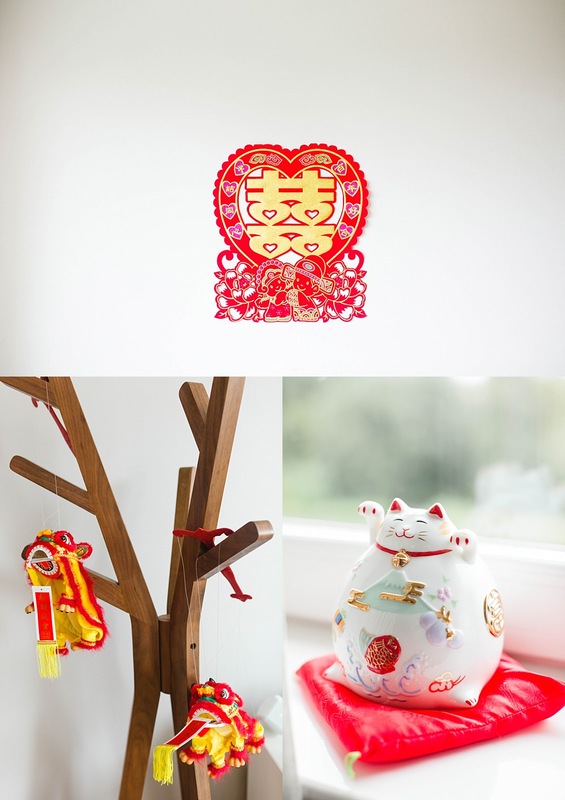 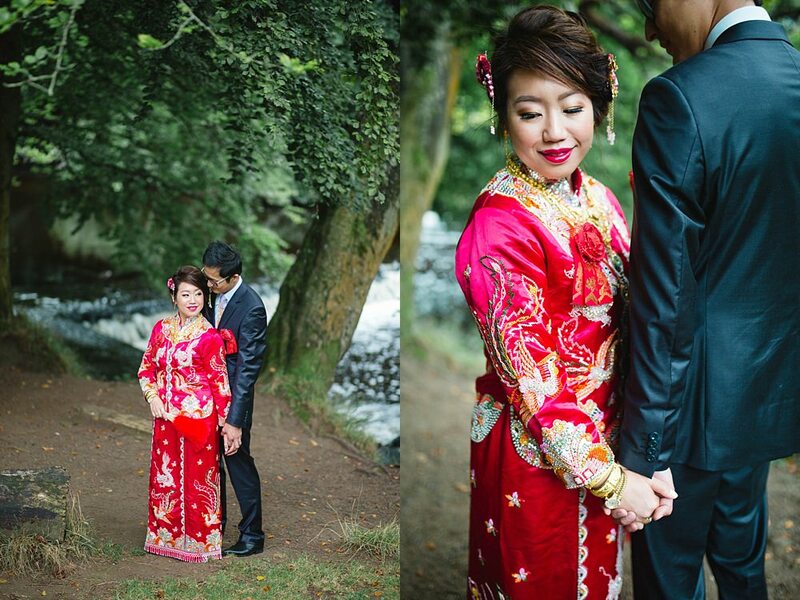 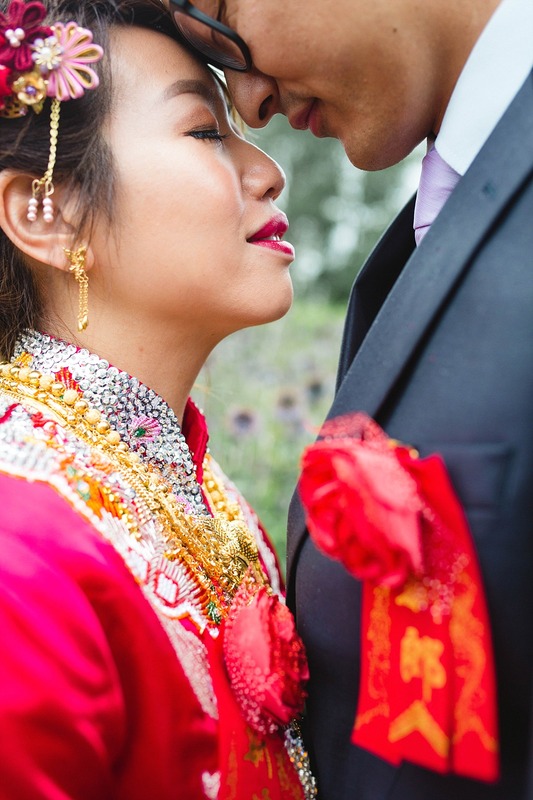 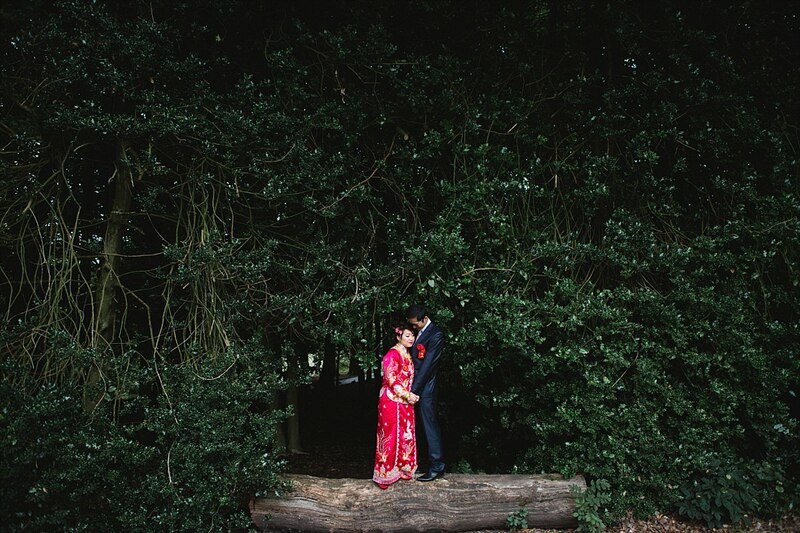 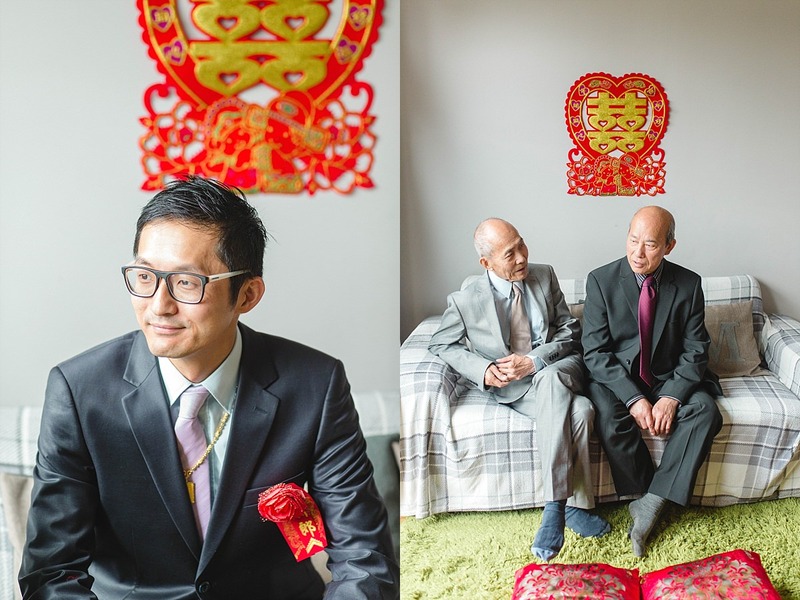 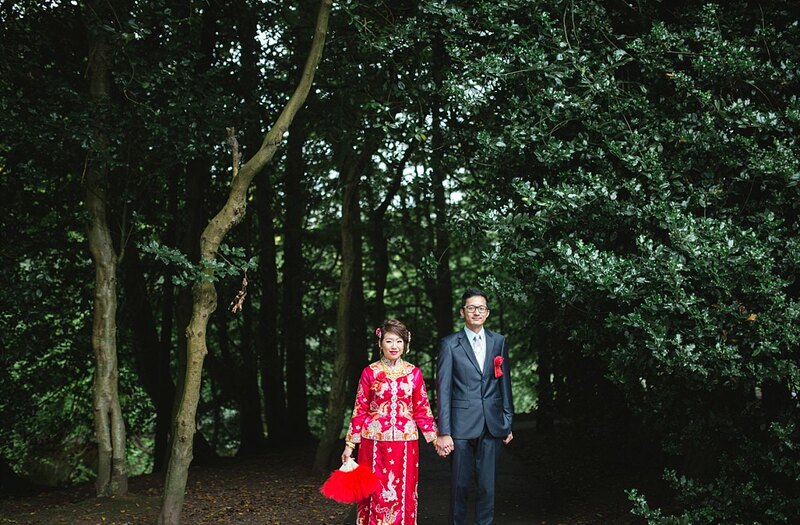 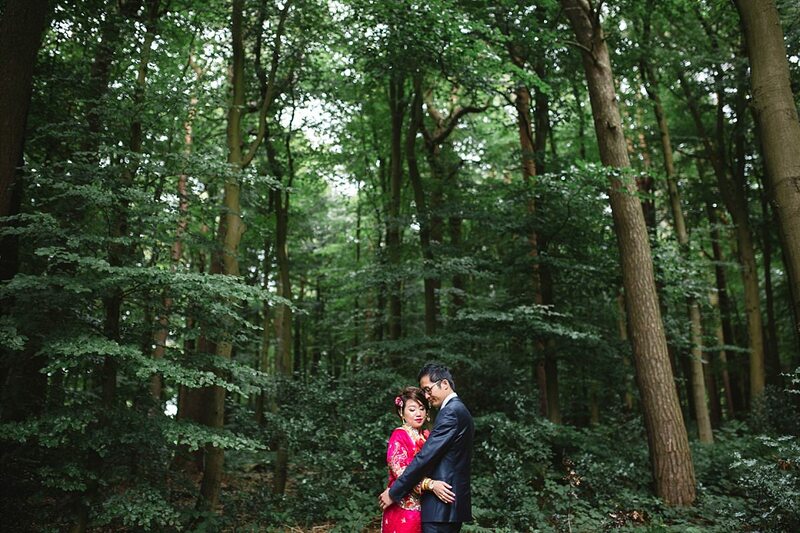 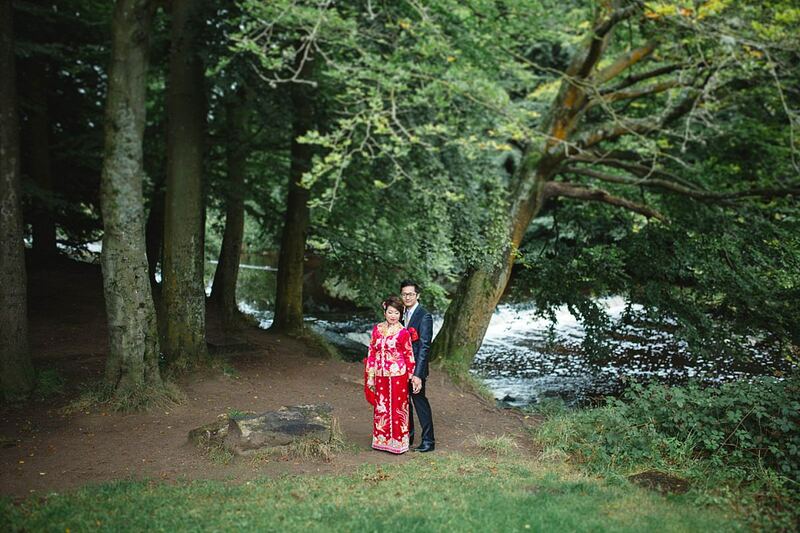 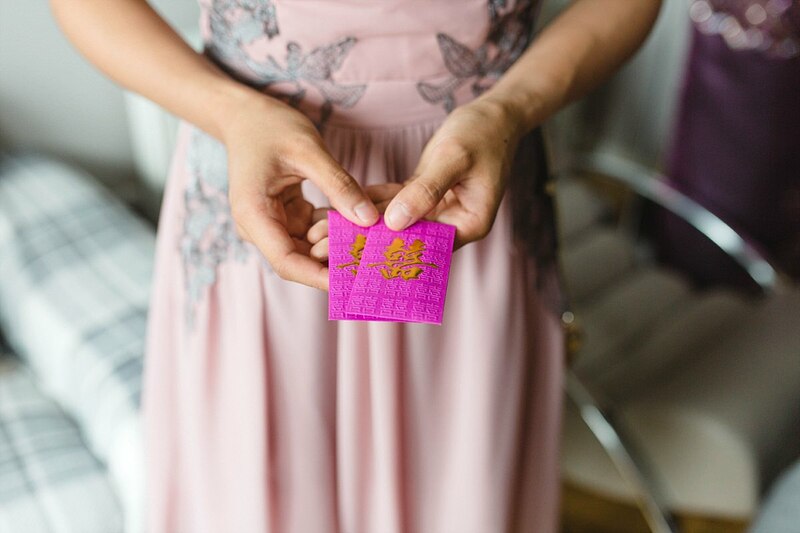 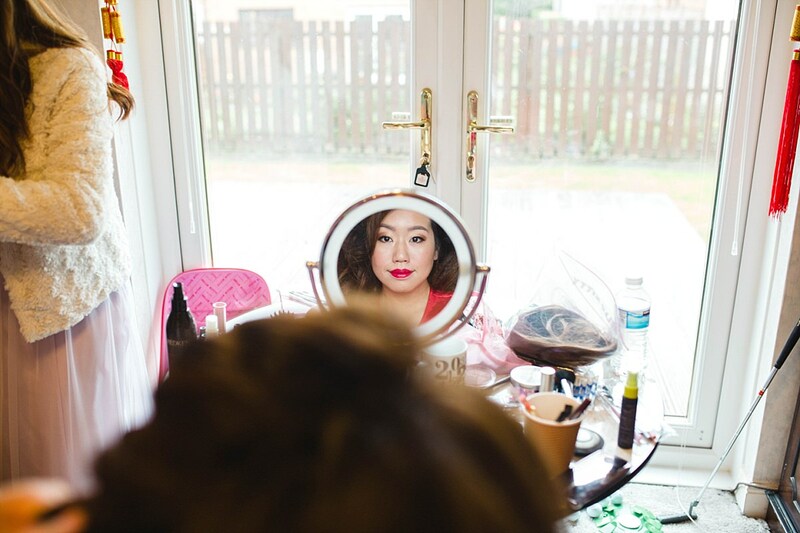 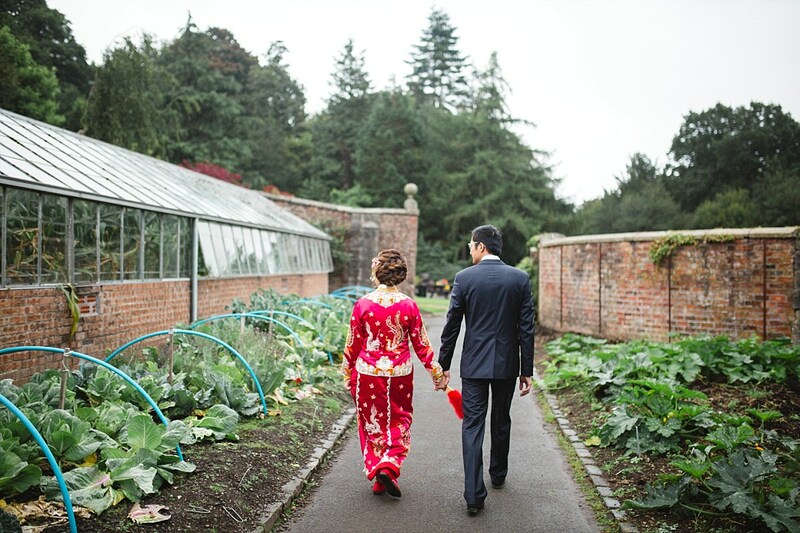 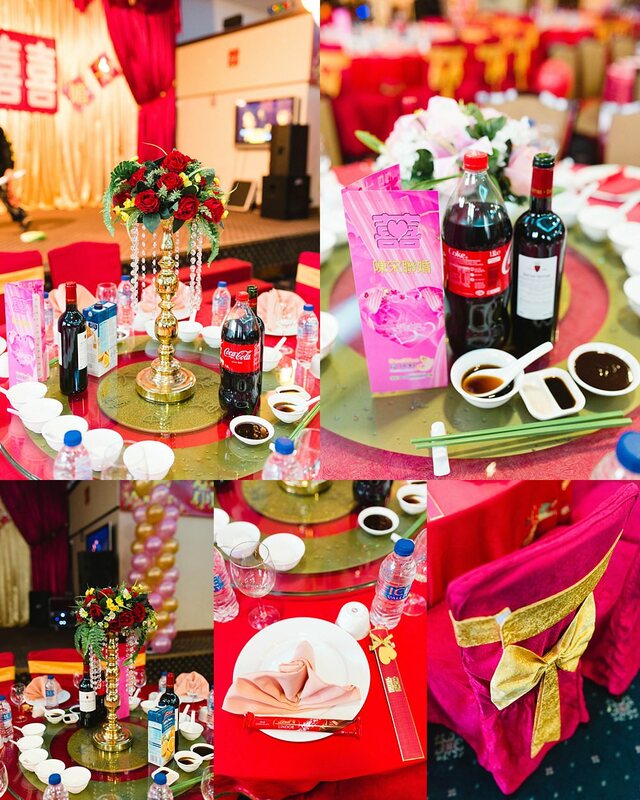 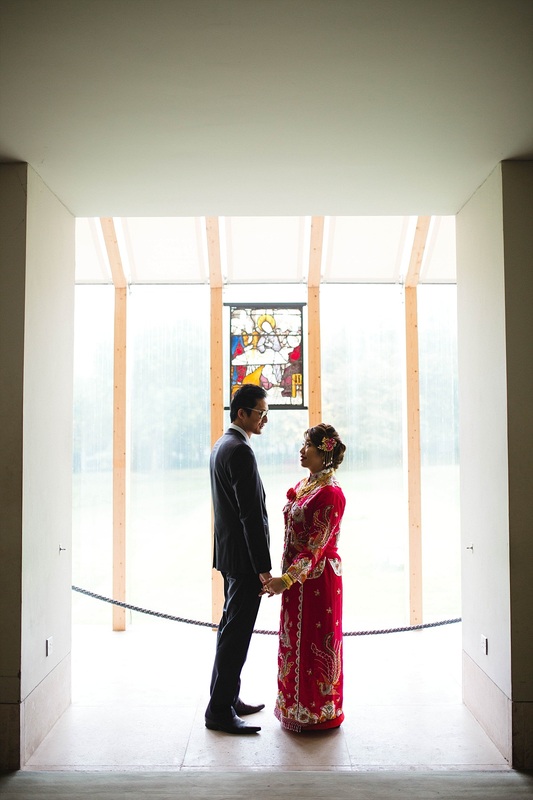 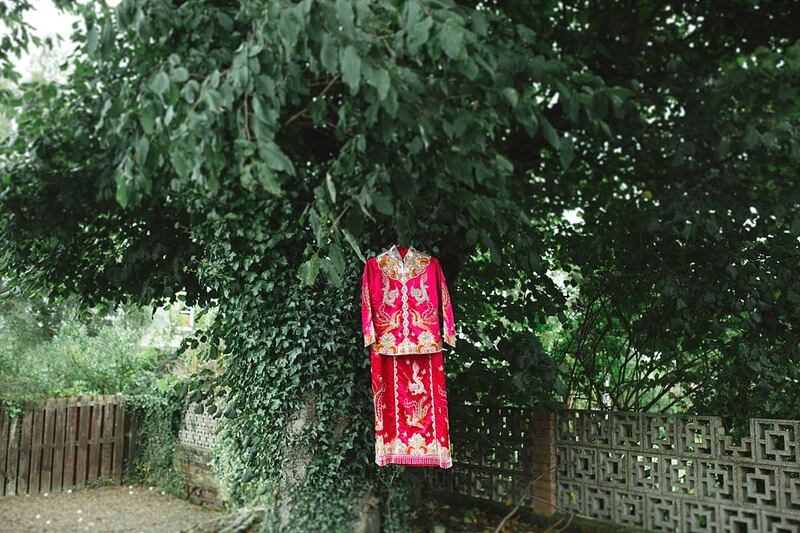 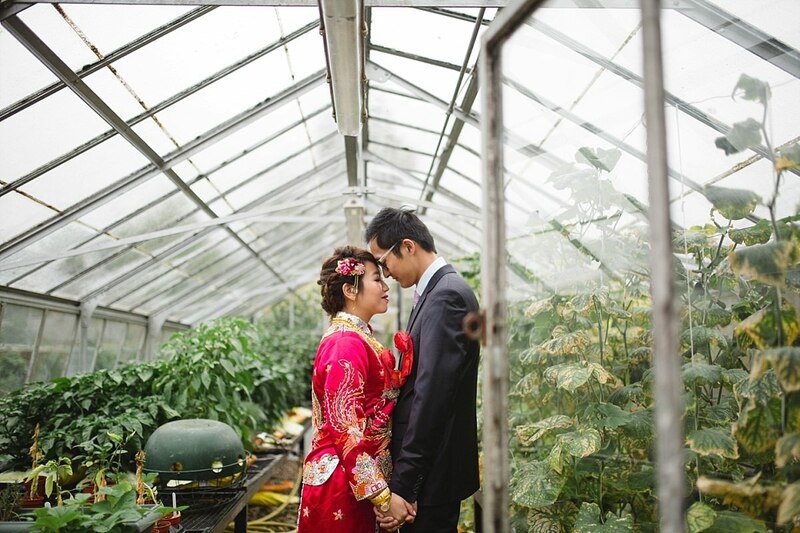 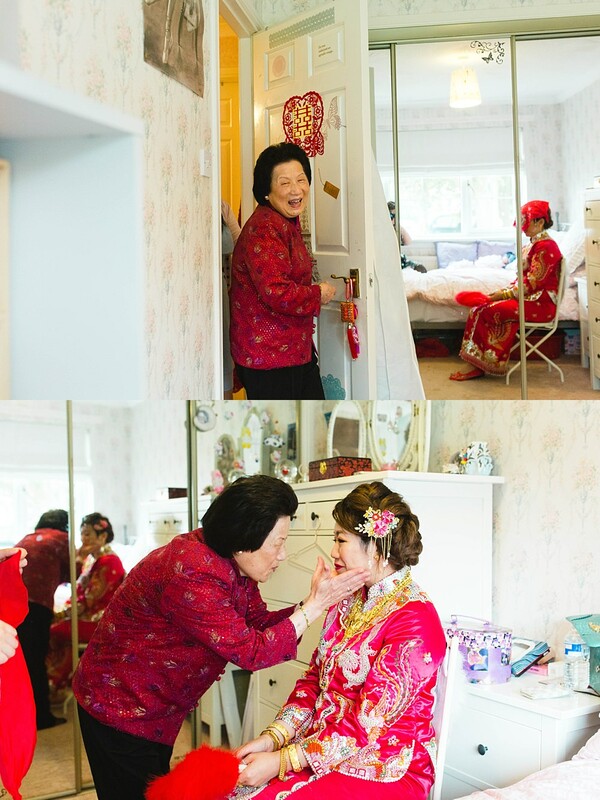 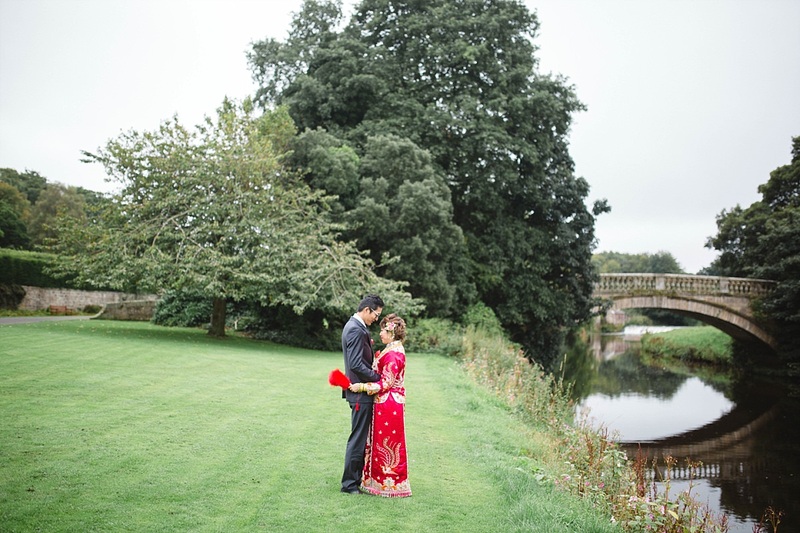 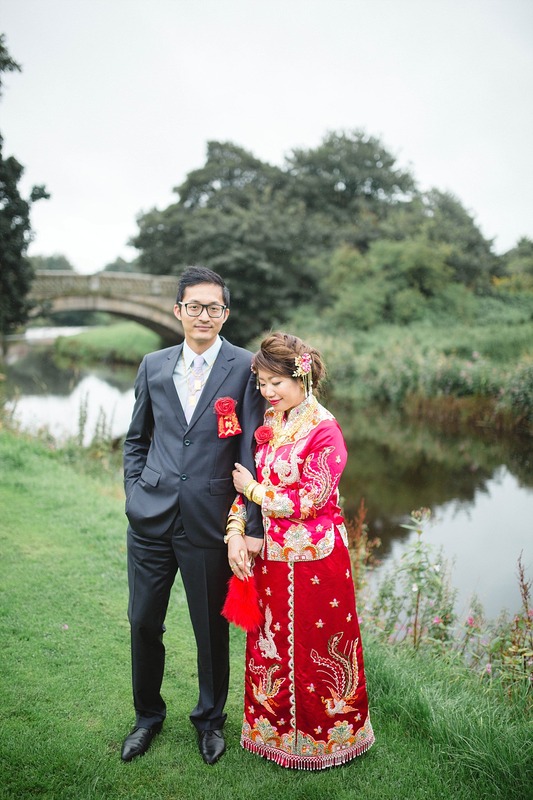 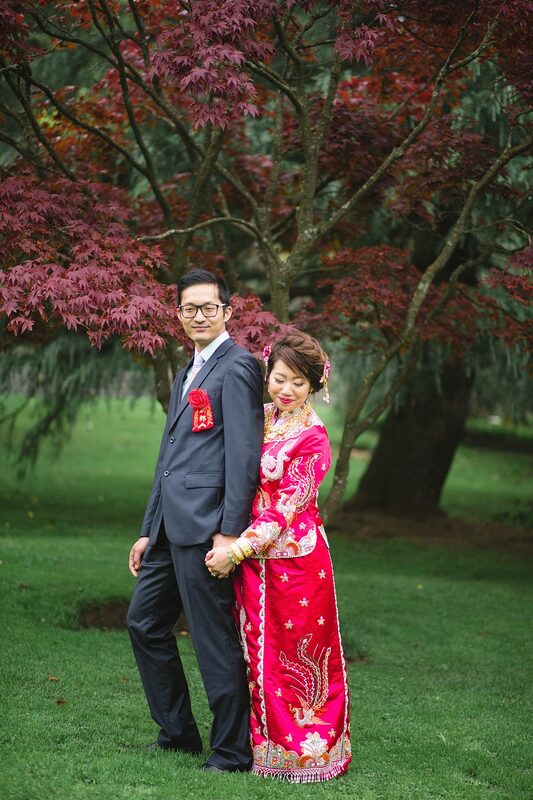 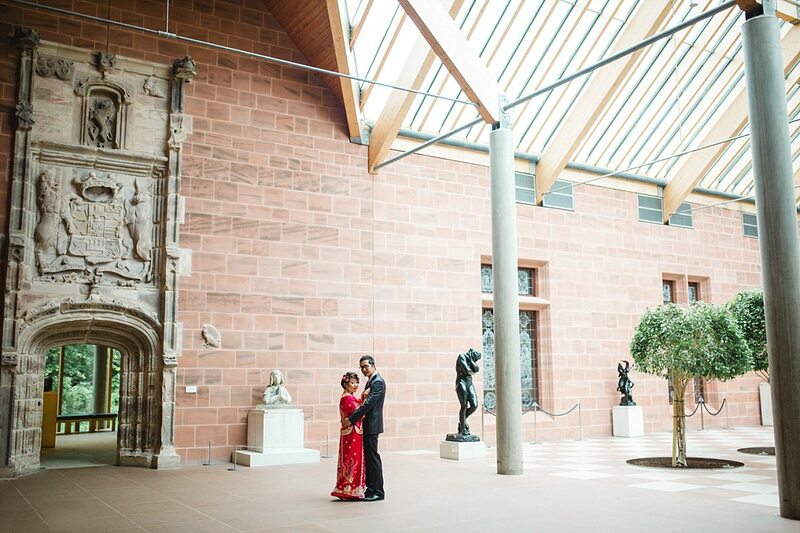 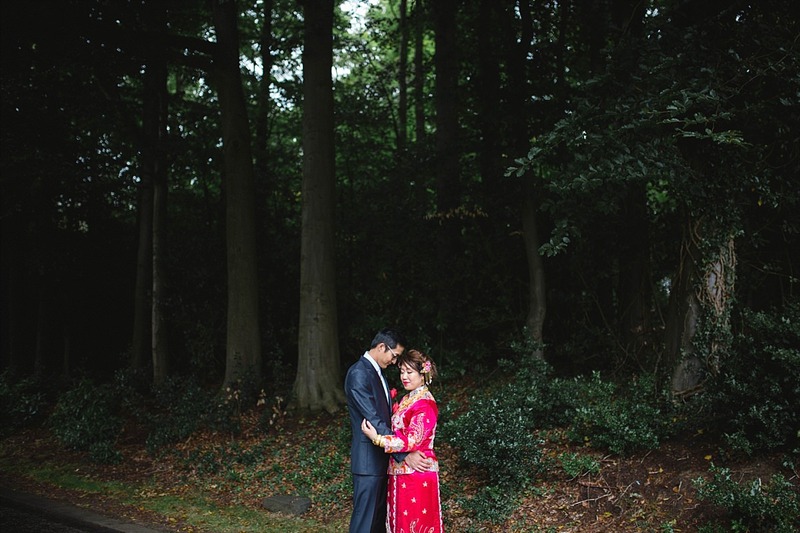 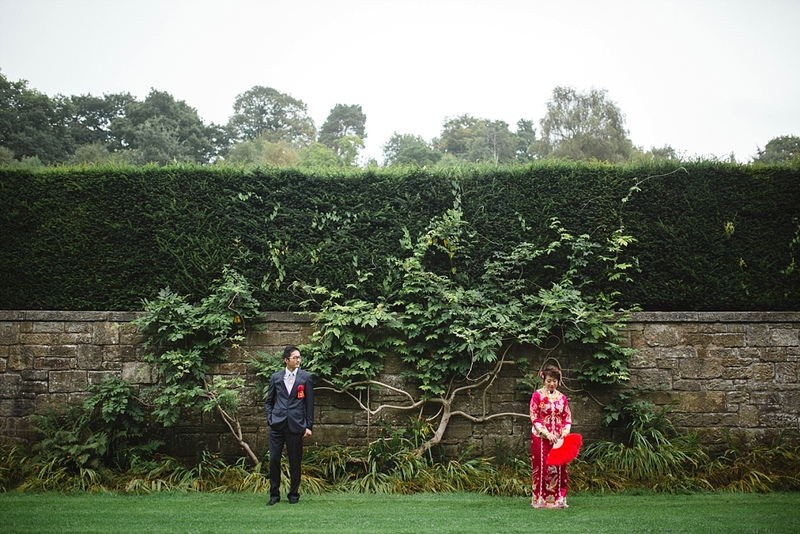 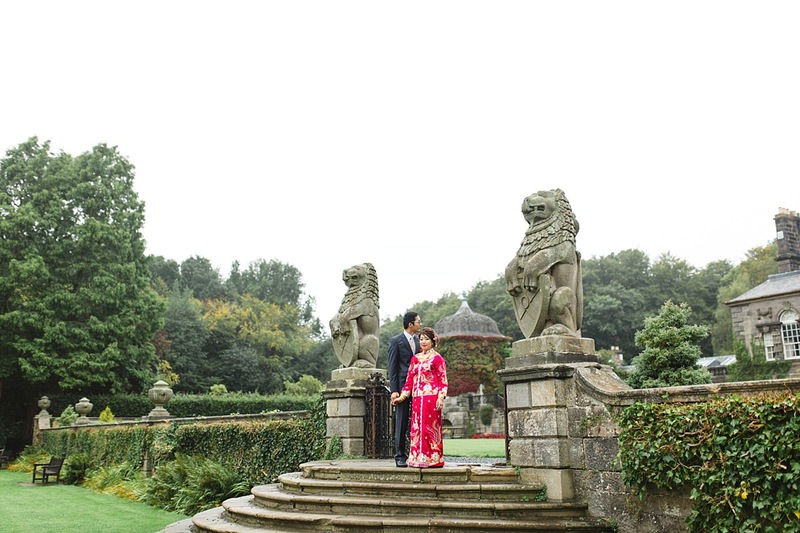 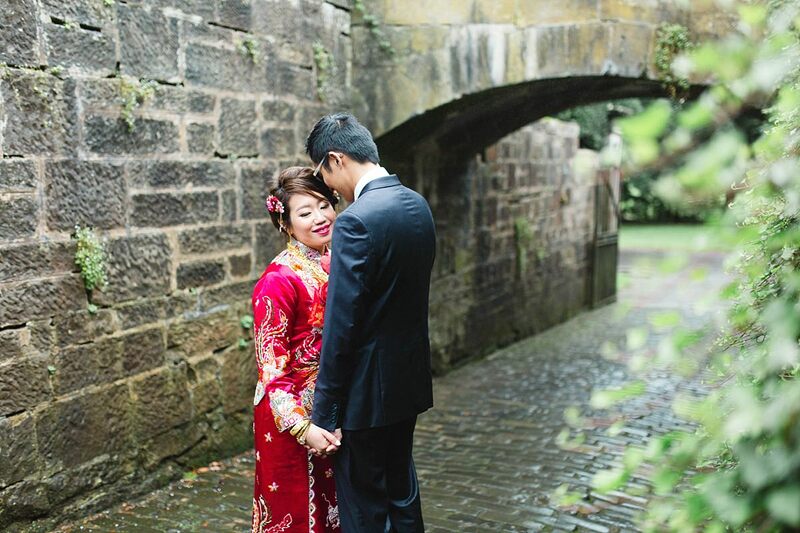 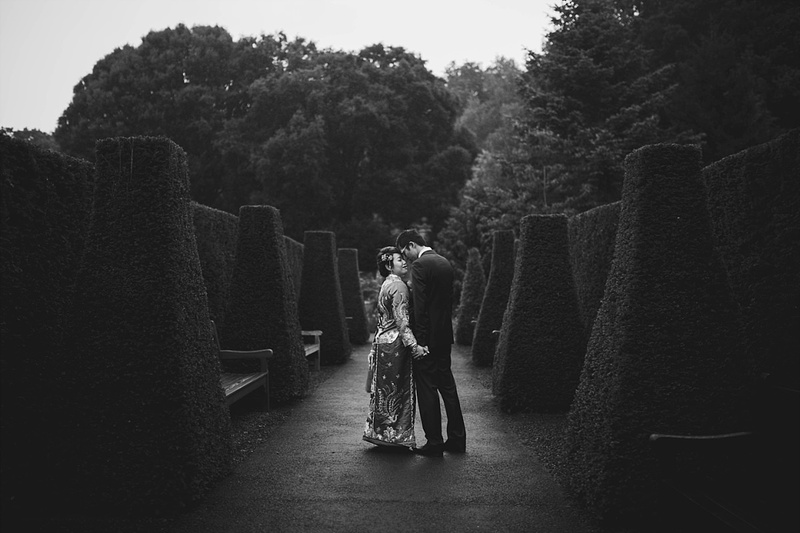 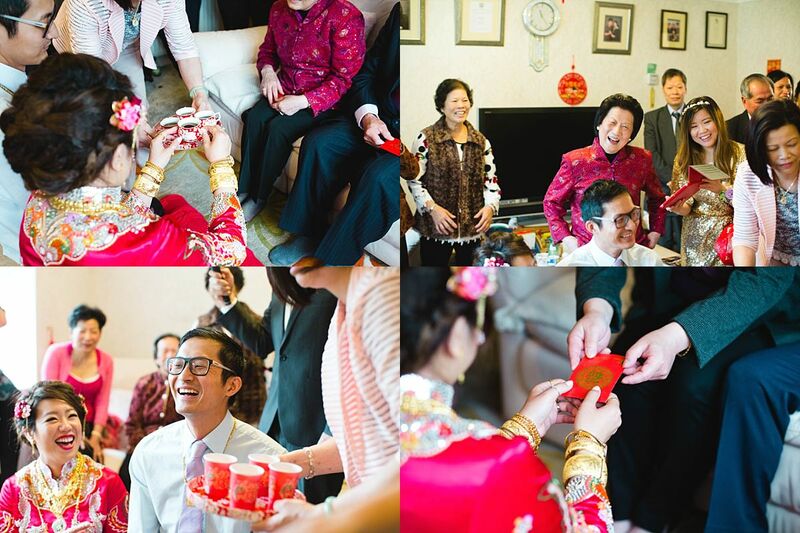 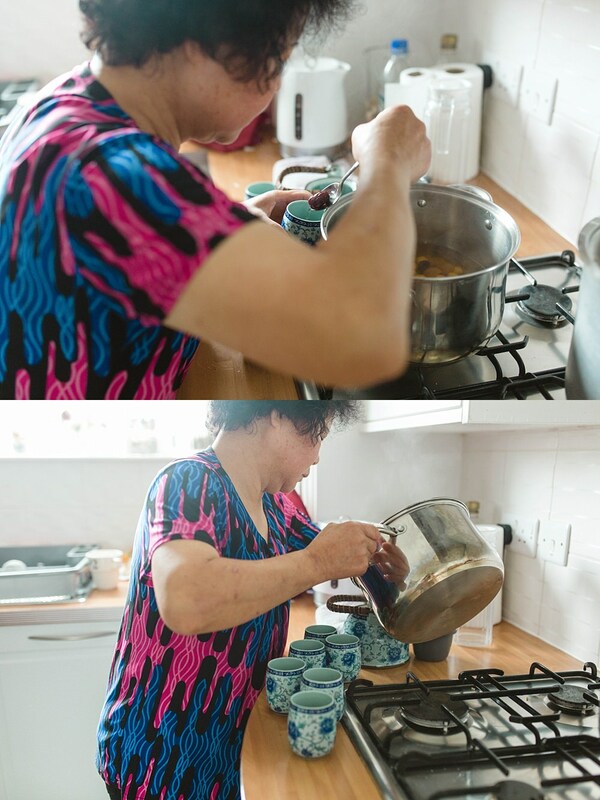 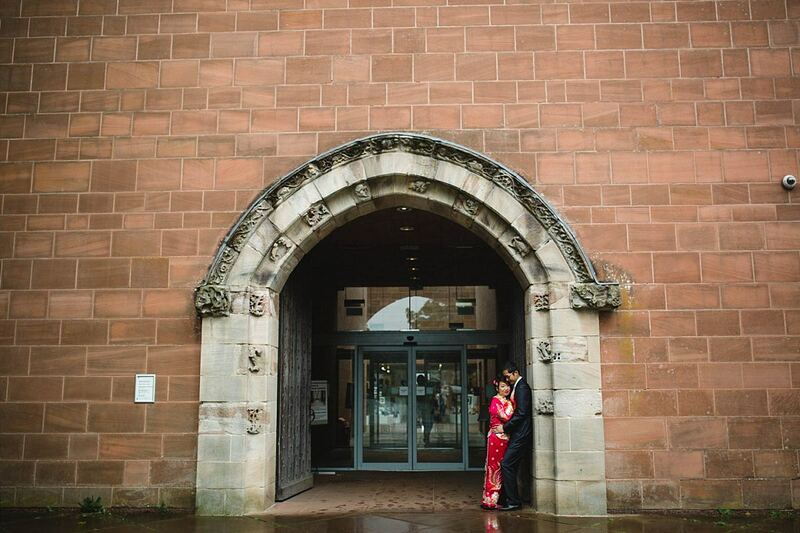 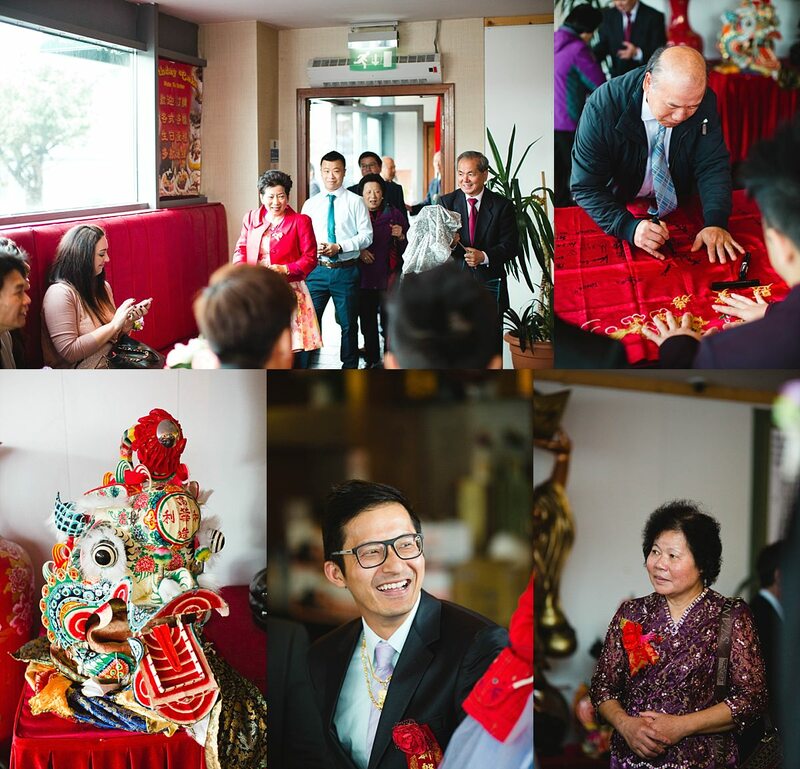 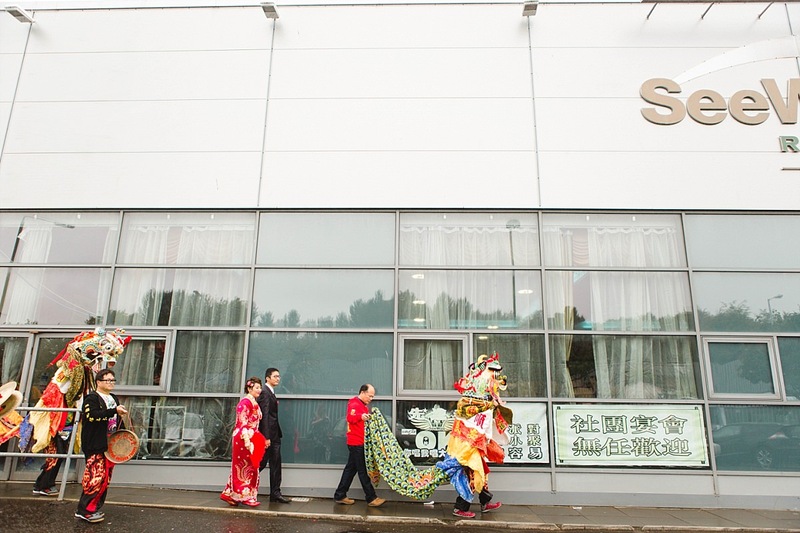 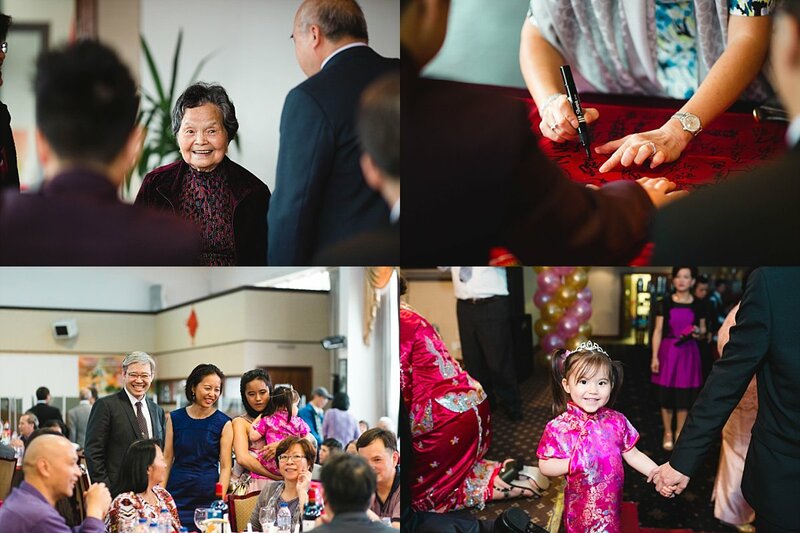 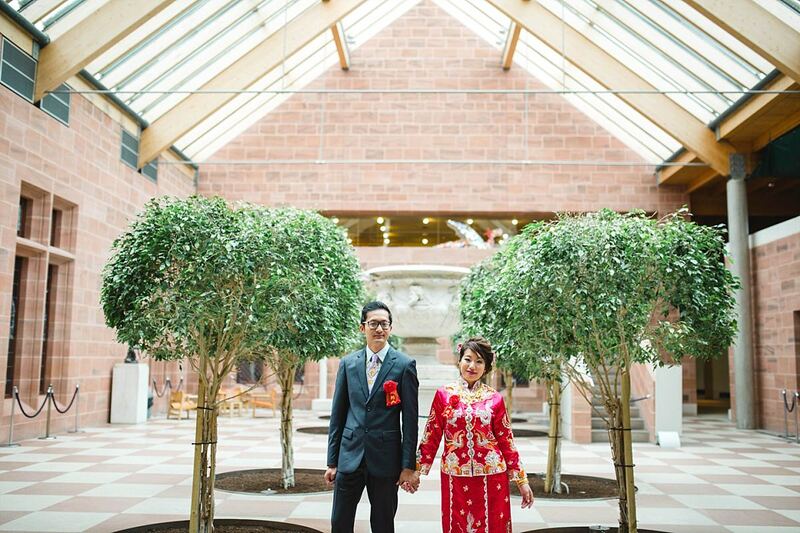 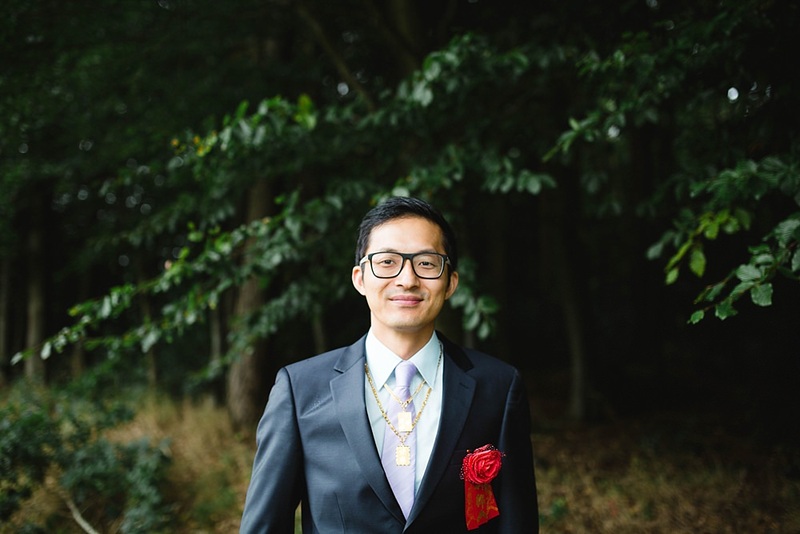 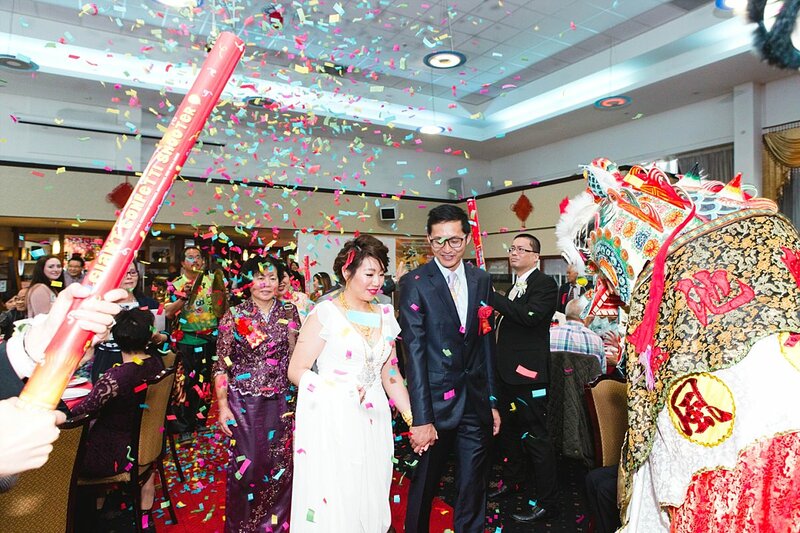 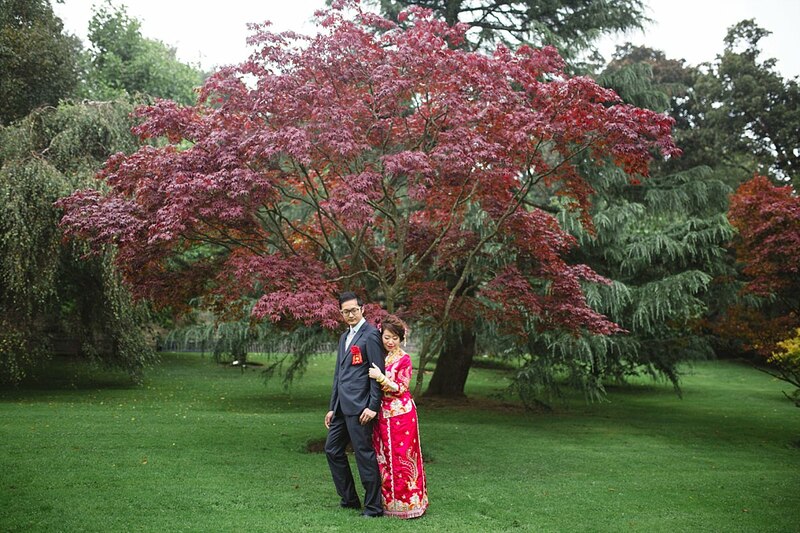 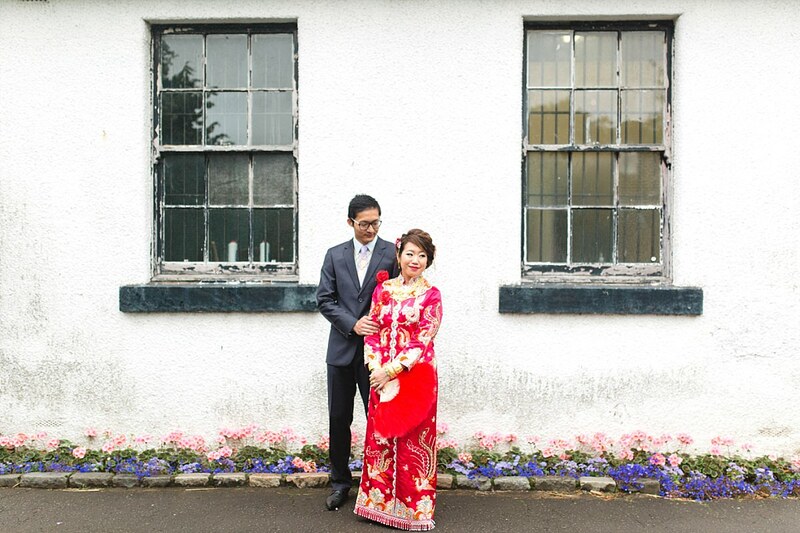 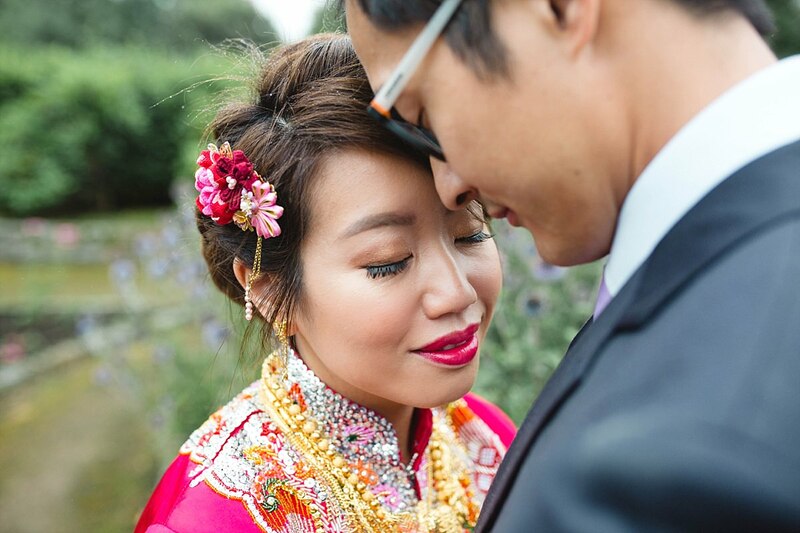 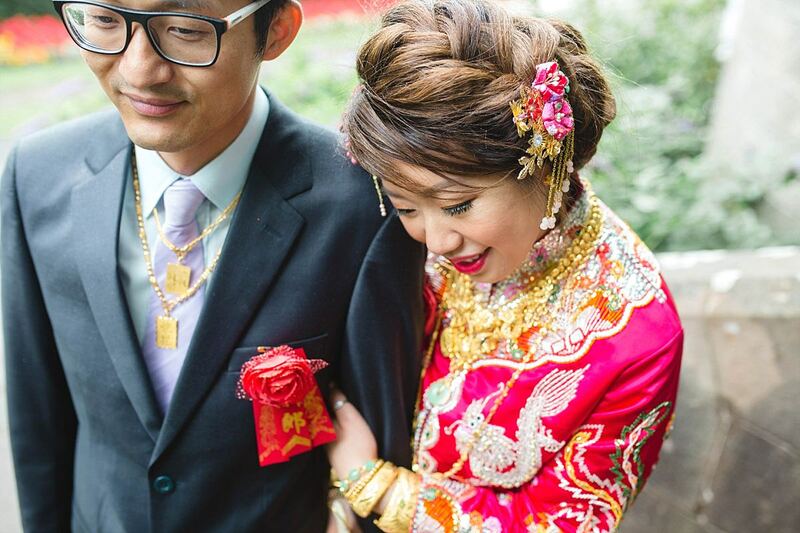 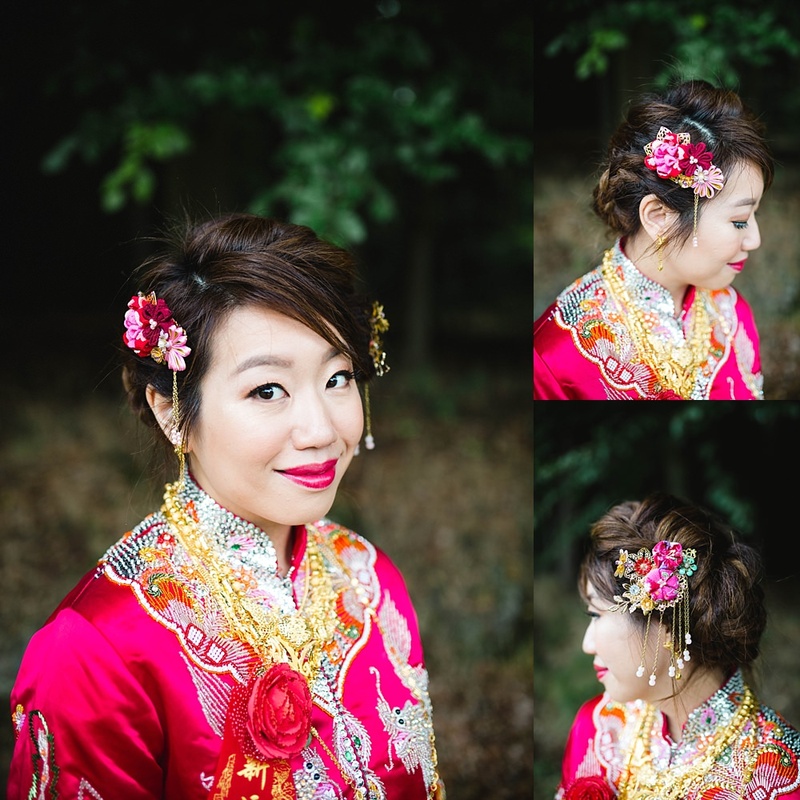 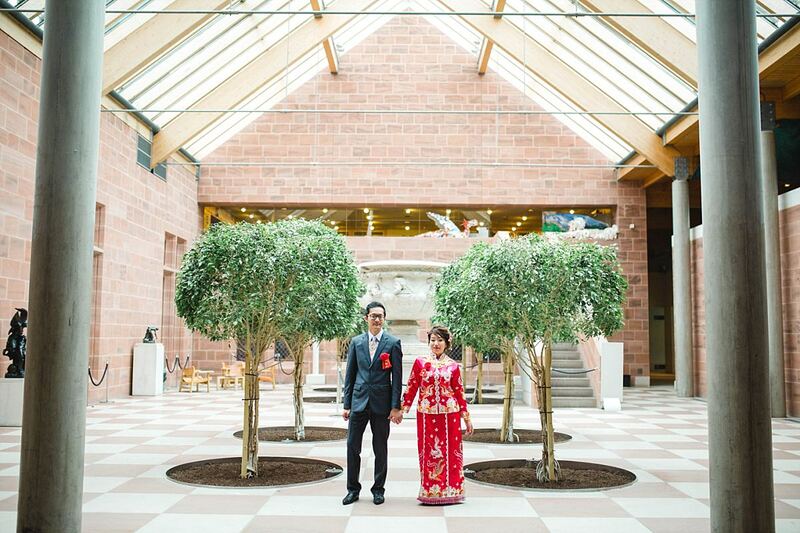 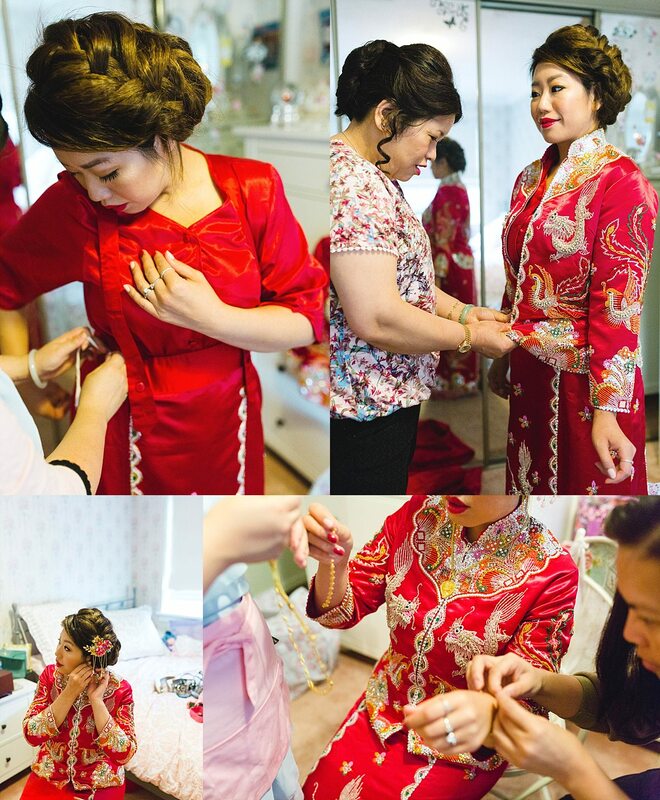 So excited to share with you today this beautiful and colourful Glasgow Chinese wedding. 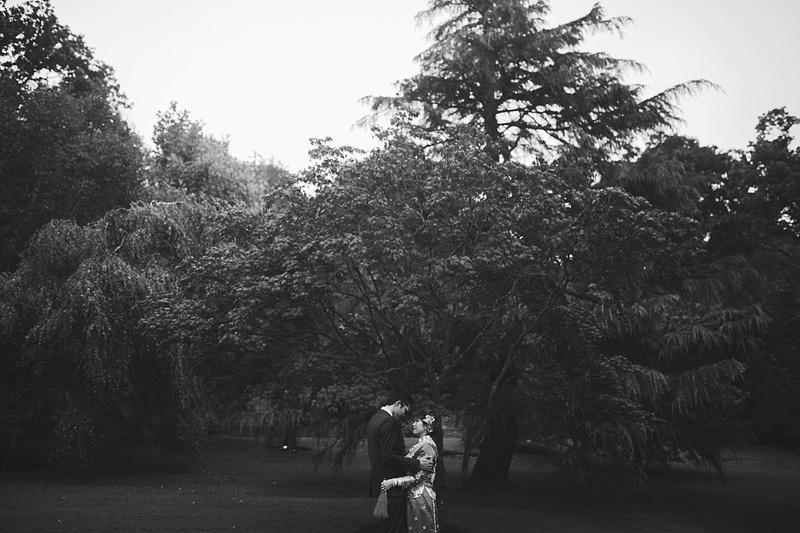 It rained but it definitely did not dampen anyone’s spirits. 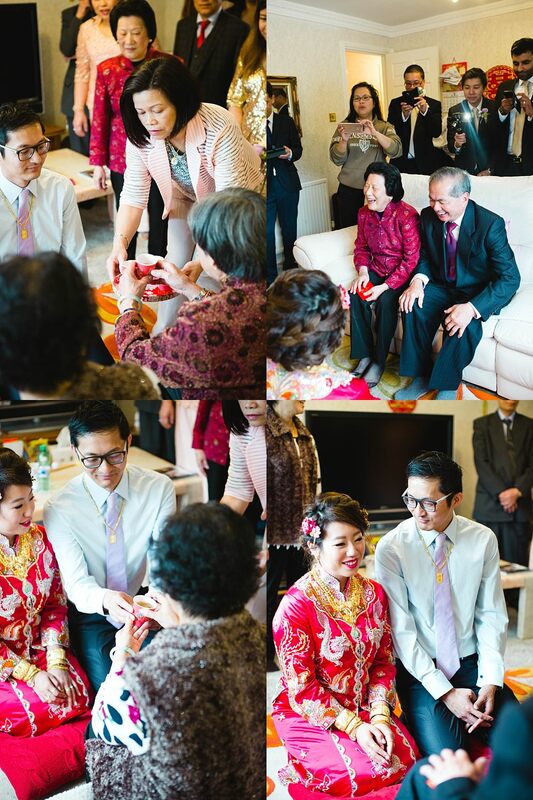 May Wan and Danny started their day with Chinese door games at May Wan’s parents home. 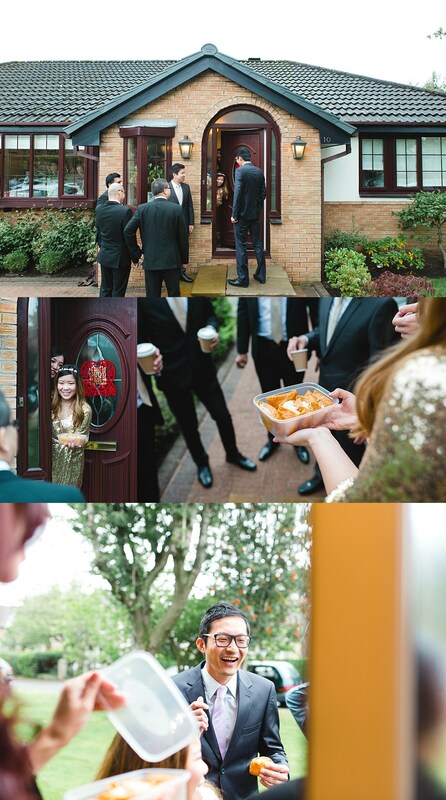 The boys were challenged at the door and not allowed to come in until they completed a series of tasks. 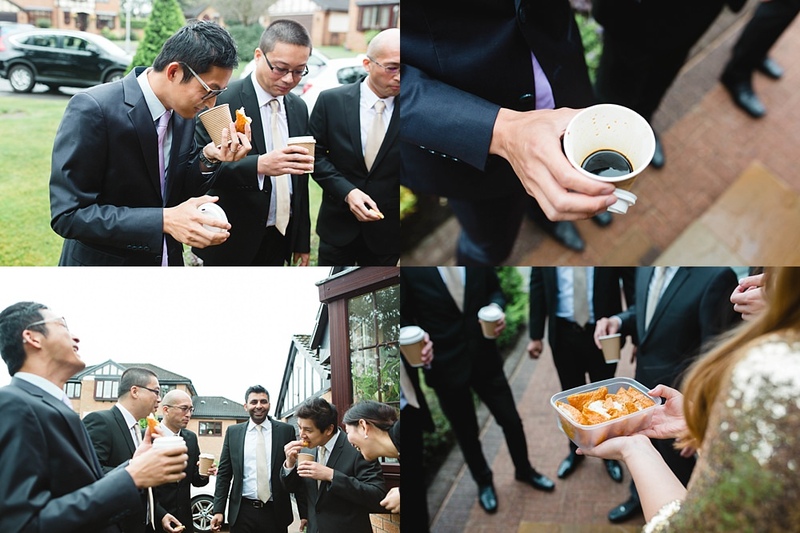 It started off with wasabi rice rolls…their poor noses…downed by lovely cups of bovril!! 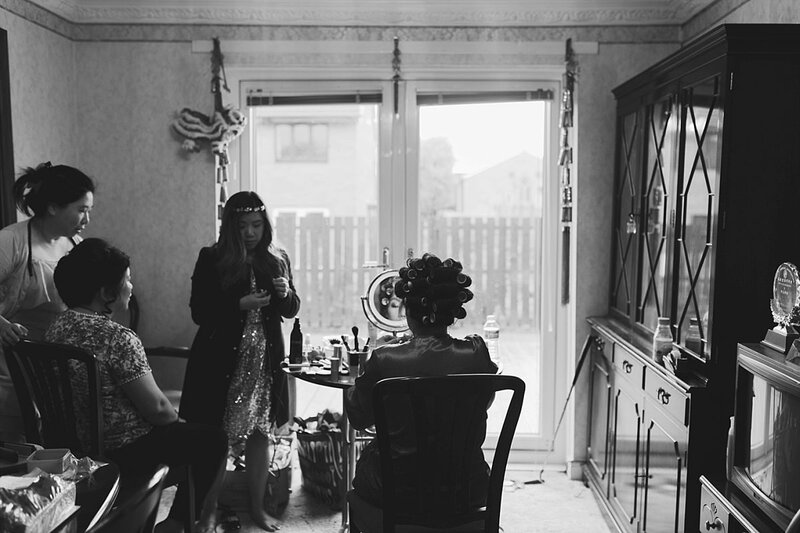 And many others as the girls did not let them off lightly! 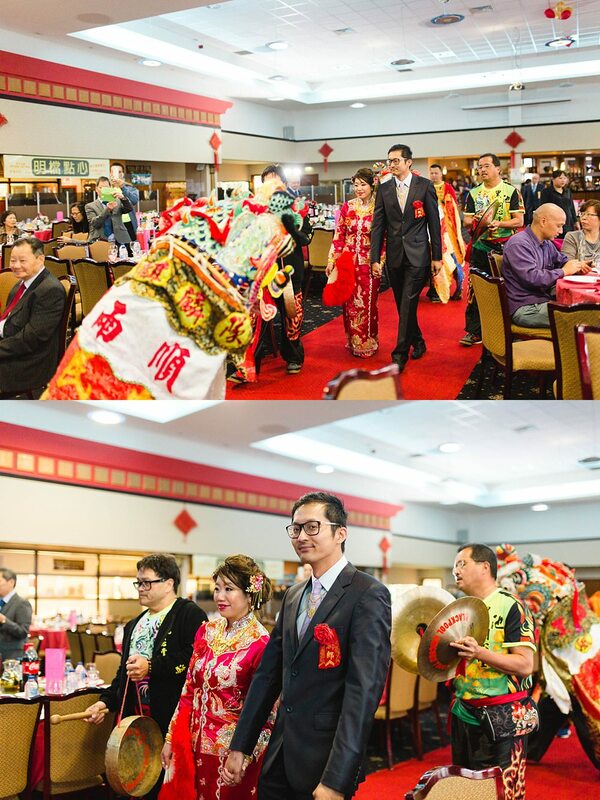 As if that wasn’t enough they had to barter their way in so the groom could collect his bride. 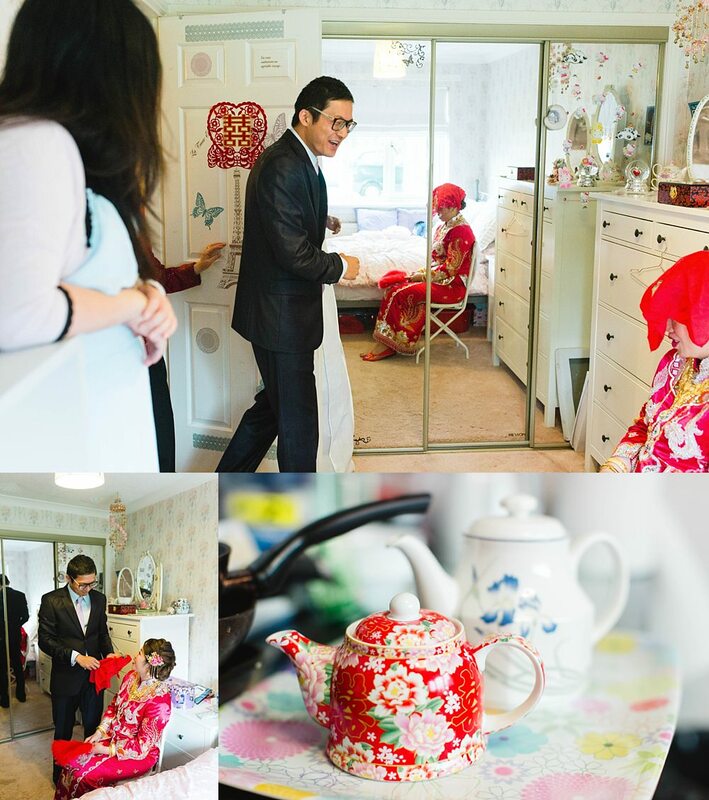 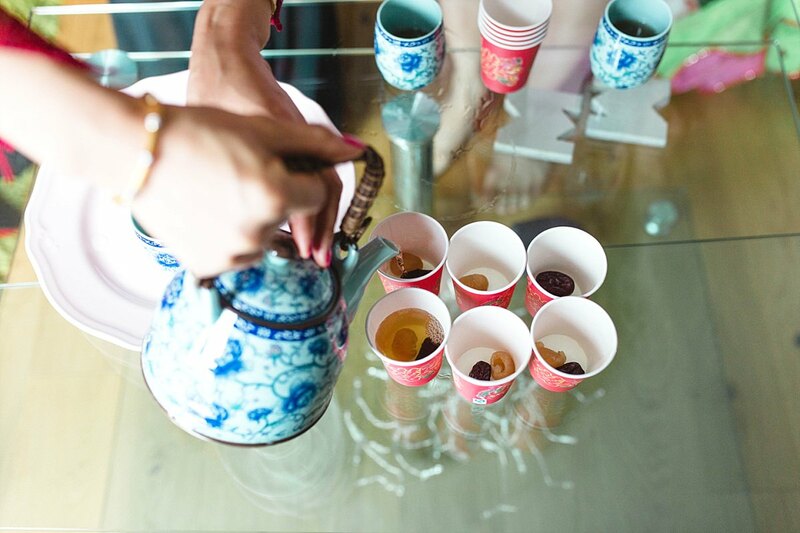 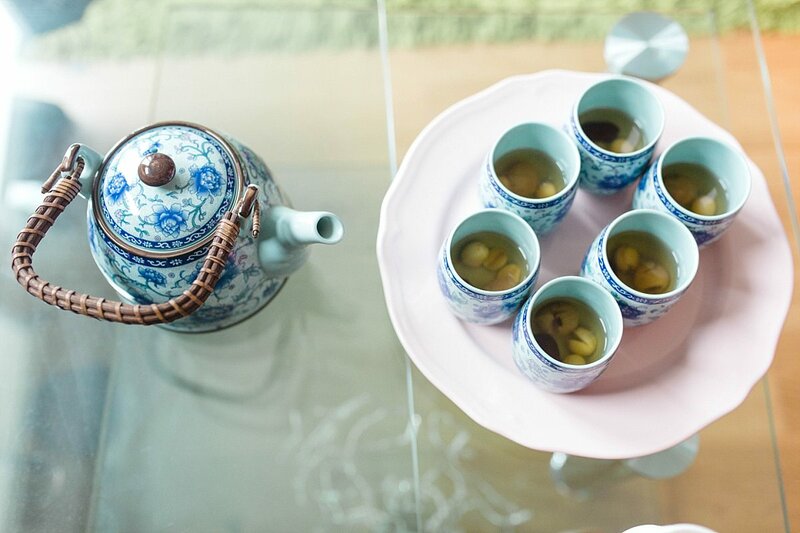 Bride collected the first tea ceremony took place with May Wan’s family and then we all headed over to May Wan And Danny’s flat for the second tea ceremony which was held for Danny’s side. 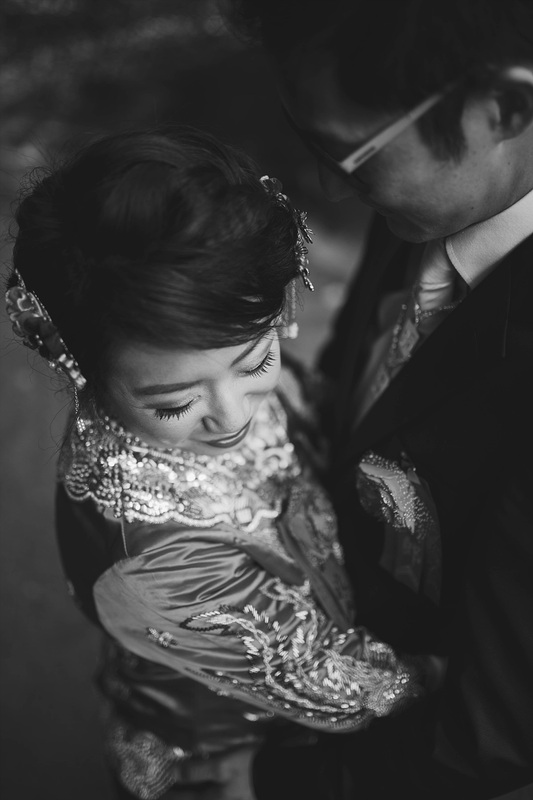 There was so much laughter and lovely moments to capture. 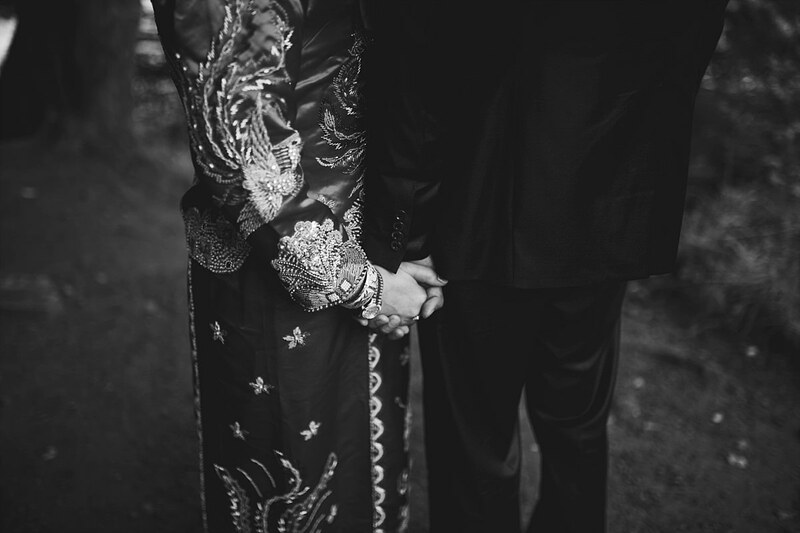 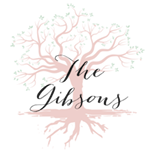 We love being able to be a part of different wedding customs. 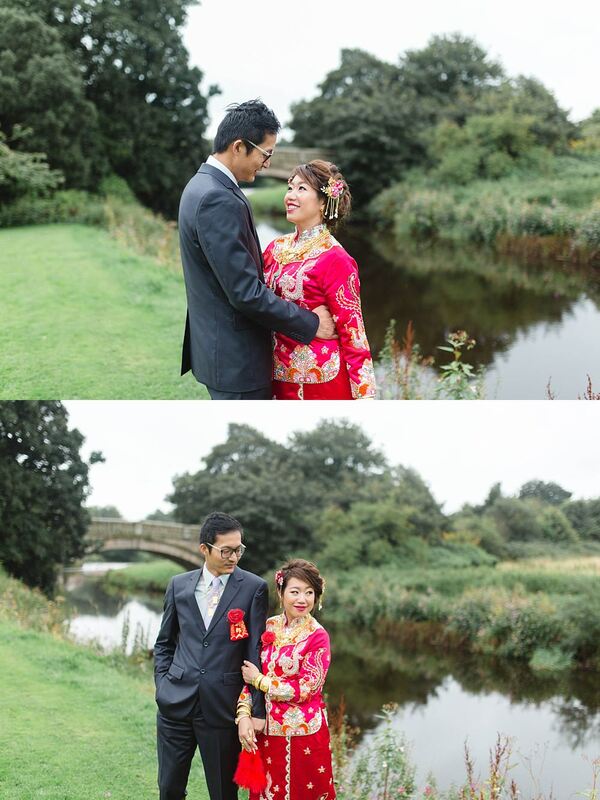 After the tea ceremonies we had plenty of time for photographs before heading to See Woo for the Chinese banquet. 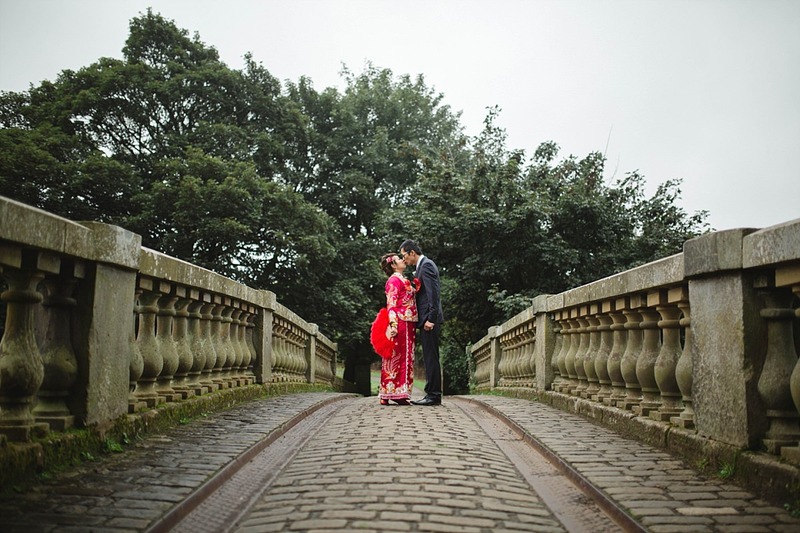 We headed off to Pollok Park for their photo session. 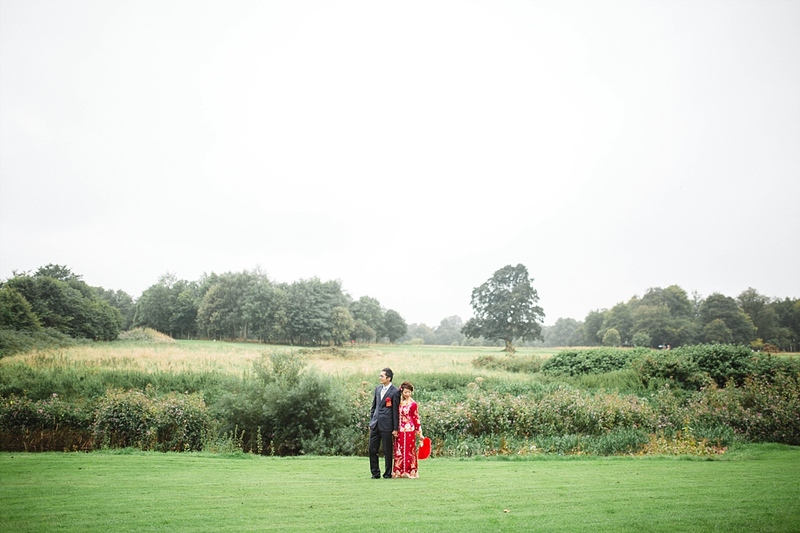 We were able to leisurely walk around and have an absolute laugh even though it rained. 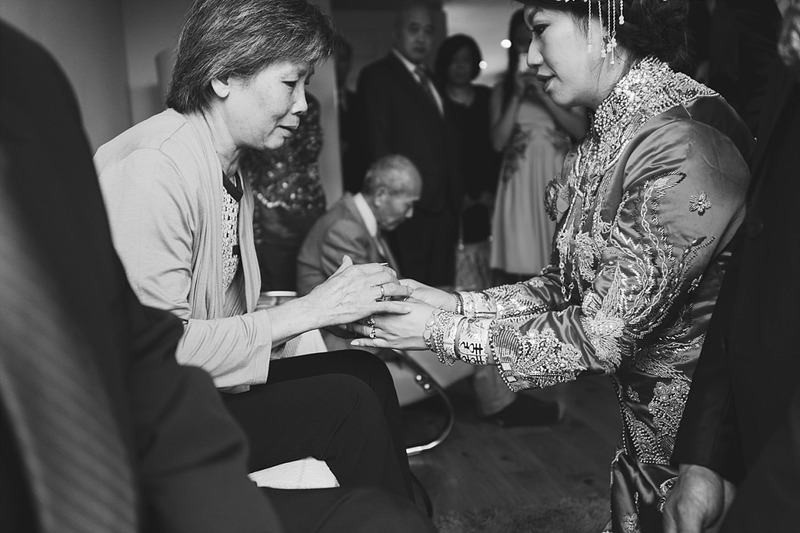 Cannot thank them enough for not even bothering about it and going for it! 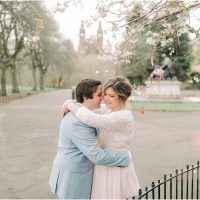 Scott and I aren’t used to having that much time for photos! 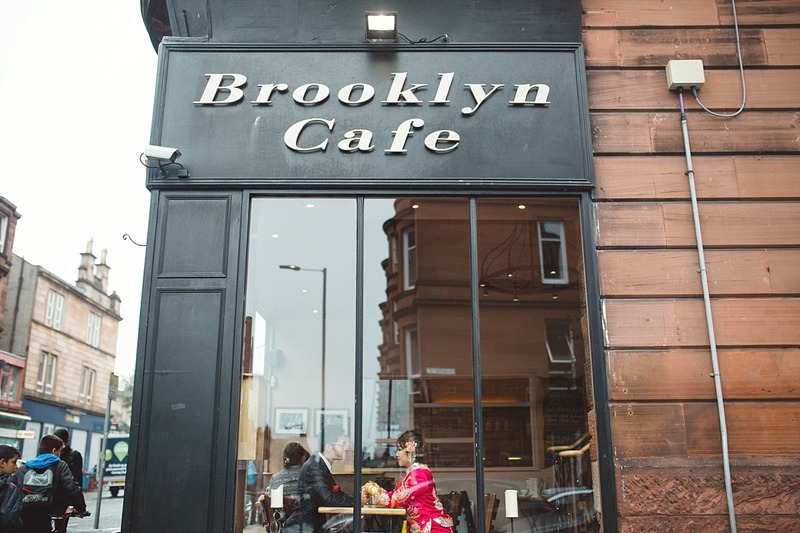 Was a luxury but also we felt we had enough photos so we unanimously decided to stop by The Brooklyn cafe for some lunch which was so nice! 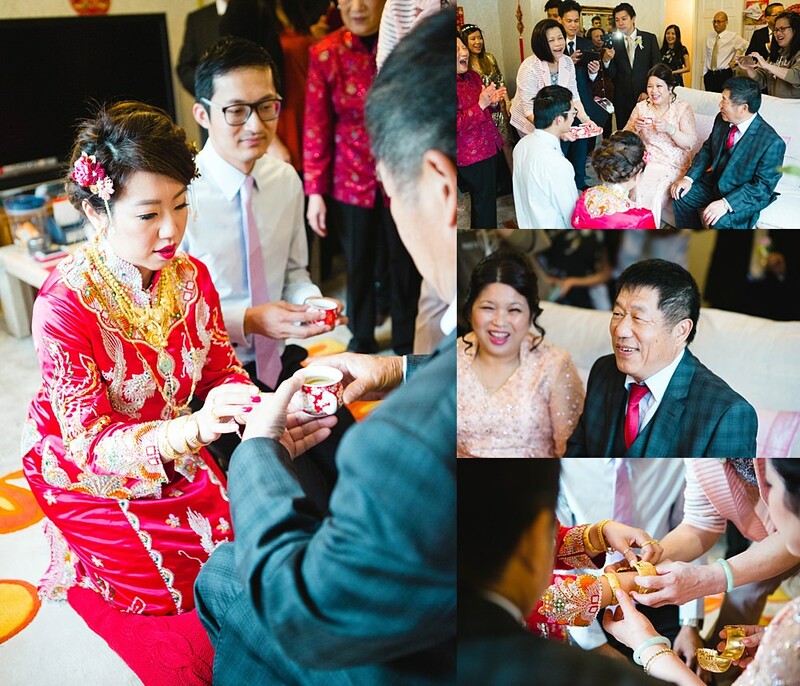 To sit there with the bride and groom and their entourage chatting and having a good laugh was so unlike how things usually run on a day. 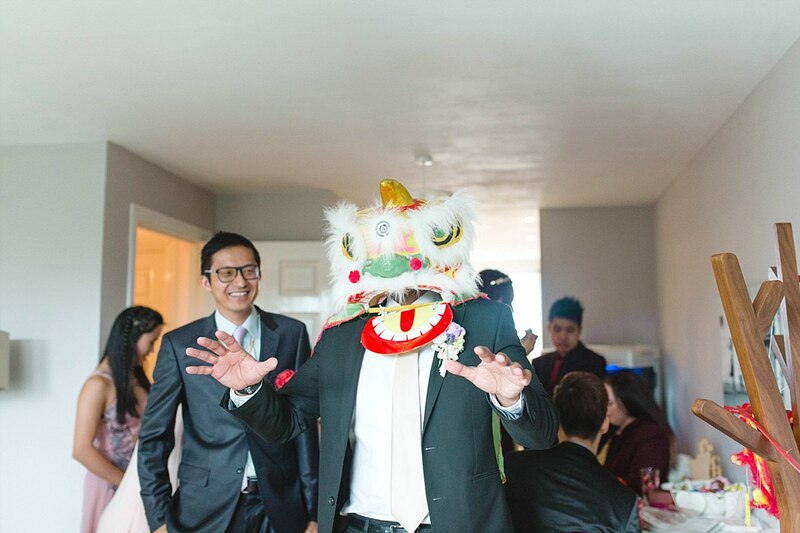 Was uniquely fun and so enjoyable! 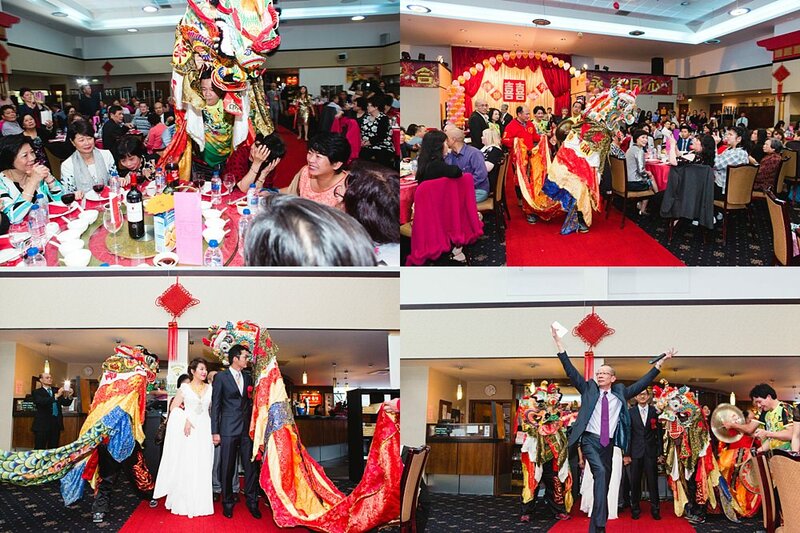 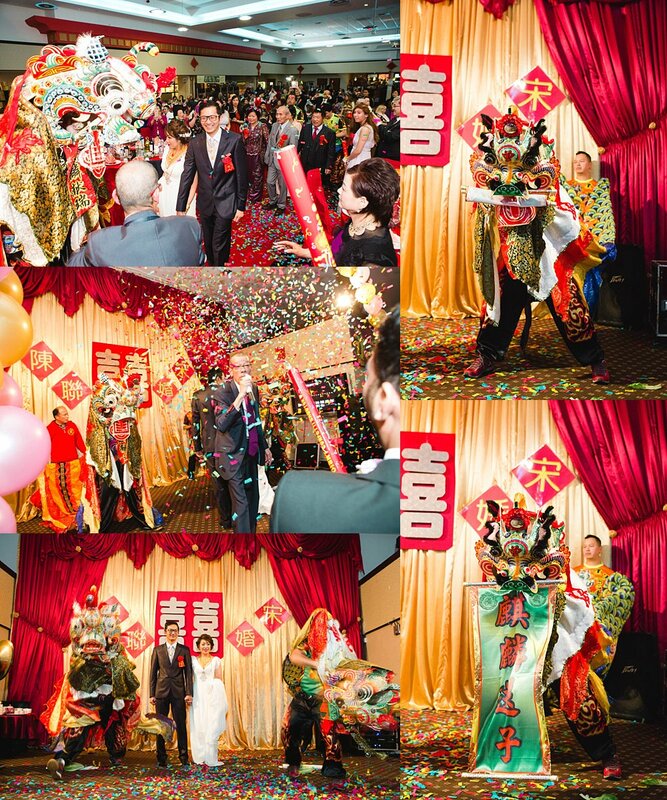 As mentioned above the Chinese banquet took place at See Woo and they were greeted by a Unicorn Dance and drums by Blackpool Unicorn Troupe U.K. 英國黑池同心堂麒麟獅. 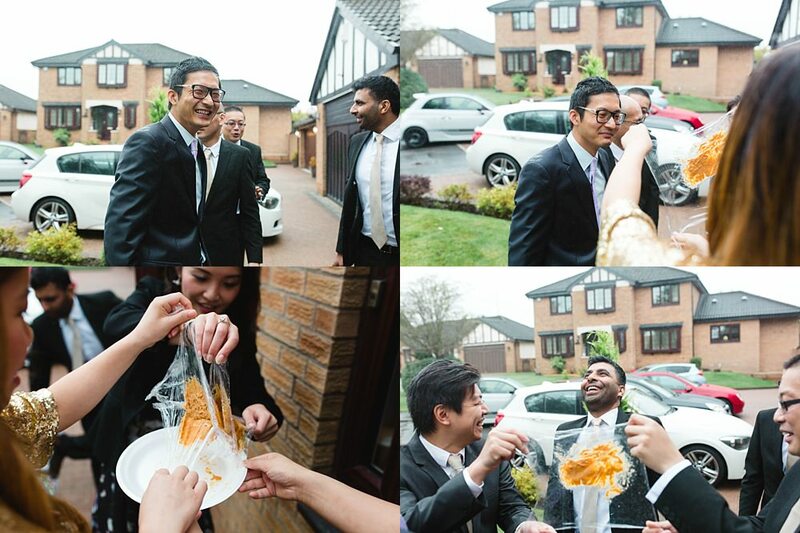 It was fantastic and automatically got you into the festive frame of mind for the rest of the evening! 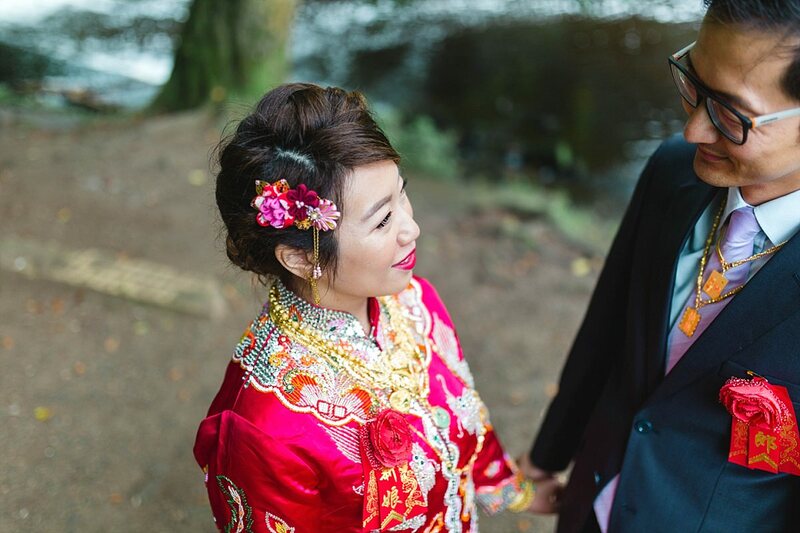 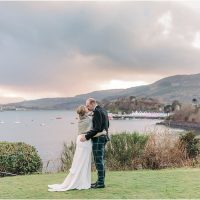 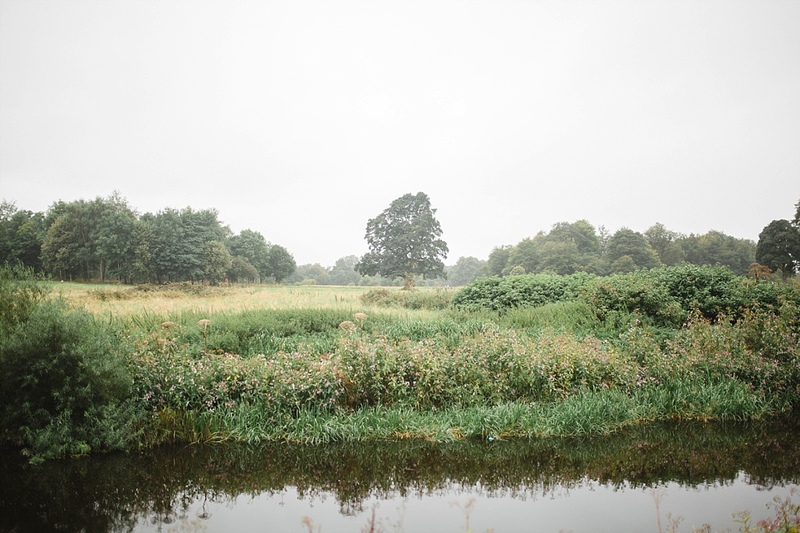 May Wan and Danny we cannot thank you enough for asking us to be your photographers for both of your wedding days (have a peek at their wedding at The Waterside west Kilbride here). 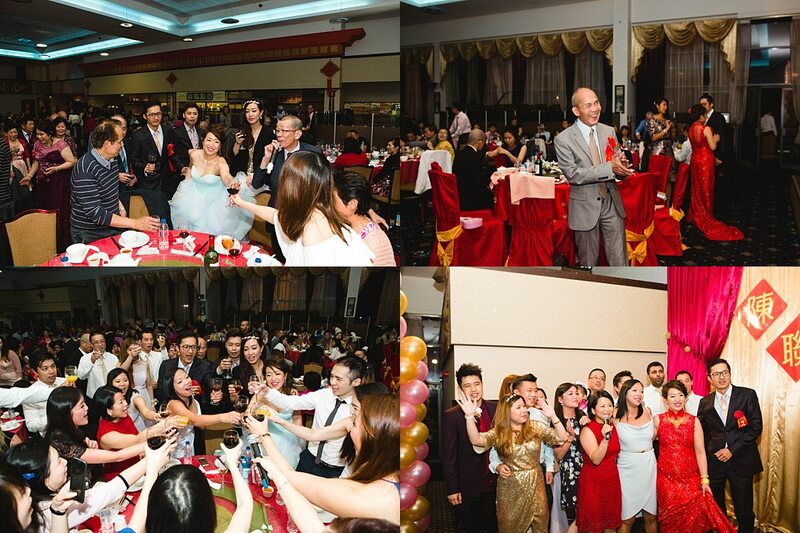 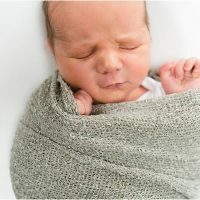 We had such a great time getting to know you and have fond memories to hold onto!